Utilizing green screen production techniques, whether in a traditional or live production setting, provides a lot of flexibility in post-production. The beauty of using a green screen is that you can animate the background behind your subject with movement and effects too costly to do produce live on set. Green screens also afford the flexibility to choose any still background, from a solid color to a real-life setting. And in any case, green screens provide a lot of creative flexibility. The popular show “Game of Thrones” is a perfect example of the extent to which green screens can enhance sets and visual effects. The most dramatic moments of this show, including dragons and battles on the sea, all come to life using a green screen. For corporate videos produced by ASL Productions, we most commonly use green screens in an interview setting where we want to enhance the backdrop, or when we have time constraints that require filming a subject before the creative treatment is completed. We also use green screens to place subjects in settings that aren’t practical for on-location shooting. Our Tums mascot video is a good example, for which we wanted our characters to look like they were working out on a football field, rather than in a studio. Whether shooting an interview, corporate video, an imaginative scene, or any other production utilizing a green screen, the first step in the planning process requires that we understand the end-goal and vision for the final video. In some cases, we may not have the final creative treatment completed, but at the least, we have an understanding of where post-production elements will be placed relative to the subject. This allows us to set the stage properly. We also ensure that subjects understand how to dress. The subject should wear colors that contrast with the backdrop, and they should never where green, or if the screen is a different color, they shouldn’t where the same color as the backdrop. Also, subjects should avoid accessories that might produce glare. Finally, flyaway hair can be difficult to key out, so we always check to ensure our subjects hair, and any other fringe elements, are still. In setting up a green screen shoot, we first ensure that the backdrop is pulled tight to avoid having textures and shadows impair the seamlessness of the backdrop. Lighting is also paramount. 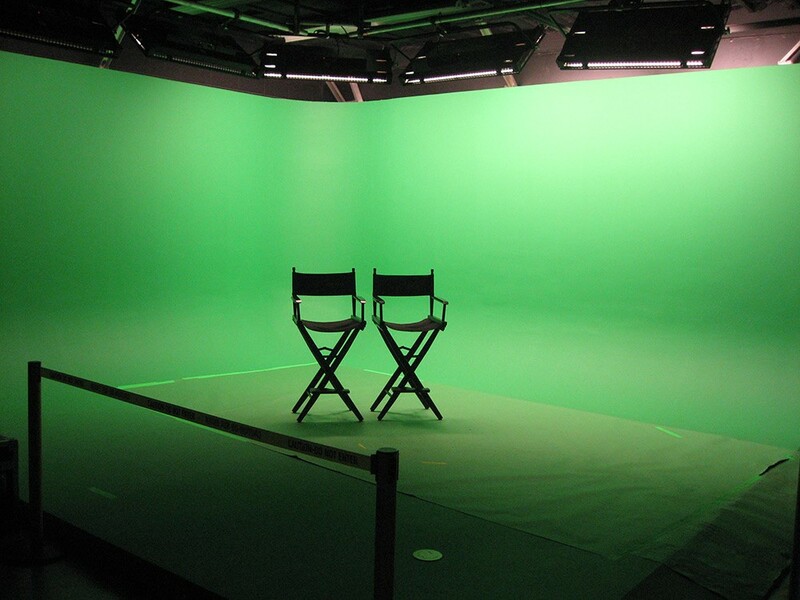 A green screen must be lighted as evenly as possible to prevent shadows and hot spots. Our operators and technicians at ASL Productions are extremely skilled in this respect, so our green screens always look smooth and uniform. Another critical component of a green screen setup is the placement of subjects. Subjects should never be placed right up against a green screen. If possible, subjects should be placed approximately six feet or more (but no more than ten feet) in front of the green screen. Green screens can be tricky, but with the right planning and an understanding of the way different set elements react with each other, green screens can produce amazing results. If you you’d like to know more about green screen productions, or think you’d like to use a green screen in a production of your own, please reach out to us at ASL Productions. Our expert crew can answer all your questions, and help you decide whether using a green screen is right strategy for achieving your production goal.